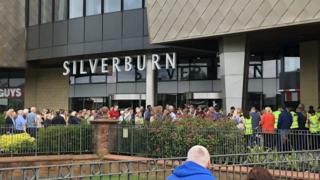 The centre did not reply to the post but later used its own Twitter account to provide an update on the situation.It said: "We've temporarily evacuated Silverburn as a precautionary measure and the emergency services are in attendance. The safety of our customers and staff is always our number one priority. We will keep you updated on the situation."